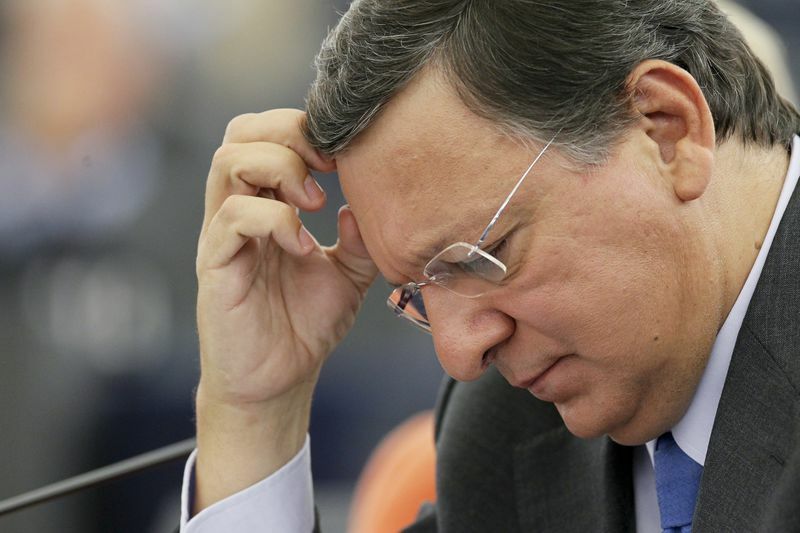 For a third time in a row, European Commission President Jose Manuel Barroso is borrowing lexis from the American political language. This year's, third in a row, state of the union address reveals full consistency with the visions of the former prime minister of Portugal about the future of Europe, although this time he went even beyond himself. Barroso not only proposed a "decisive deal" for Europe (by analogy with Roosevelt's new deal in the beginning of the 20th century) but he asked debates to begin on a federal Europe or, as he put it, a "federation of nation states". 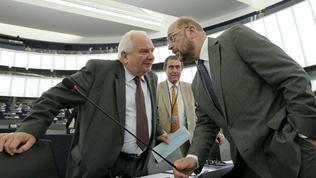 Moreover, he applied for the next European Commission chief to be elected at the European elections in 2014. 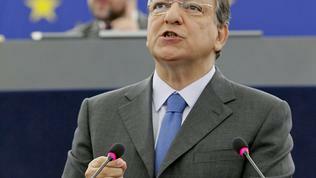 As with his previous speeches in the beginning of every political season in Strasbourg, this time too Barroso promised to be honest in his analysis of the situation. And he was. Jose Manuel Barroso presented before the MEPs his vision about Europe's future, underscoring explicitly that it did not mean all the efforts aimed at tackling the current and most implying problems to be left aside but on the contrary - in parallel to them to think about what is on the horizon and that is a political union. Moreover, "I would like to see the development of a European public space, where European issues are discussed and debated from a European standpoint. 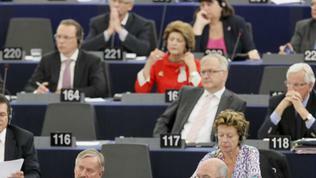 We cannot continue trying to solve European problems just with national solutions", he added. For the purpose, however, it is necessary the European political parties to be enhanced because at European elections the EU parties' logos cannot be seen but only those of the national parties. 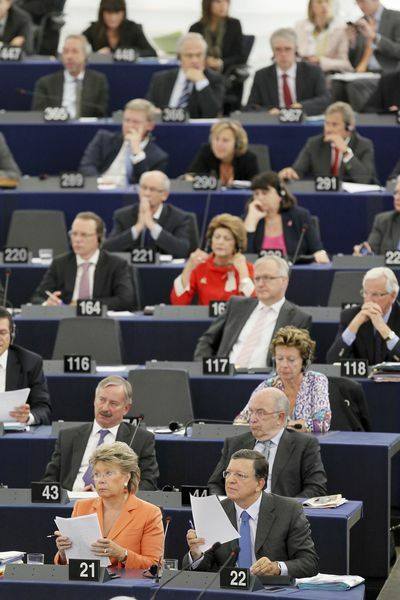 From that perspective Barroso came to Strasbourg well prepared - the Commission presented earlier in the day a proposal on assisting the European political parties of which you will read in more detail later on this web site. 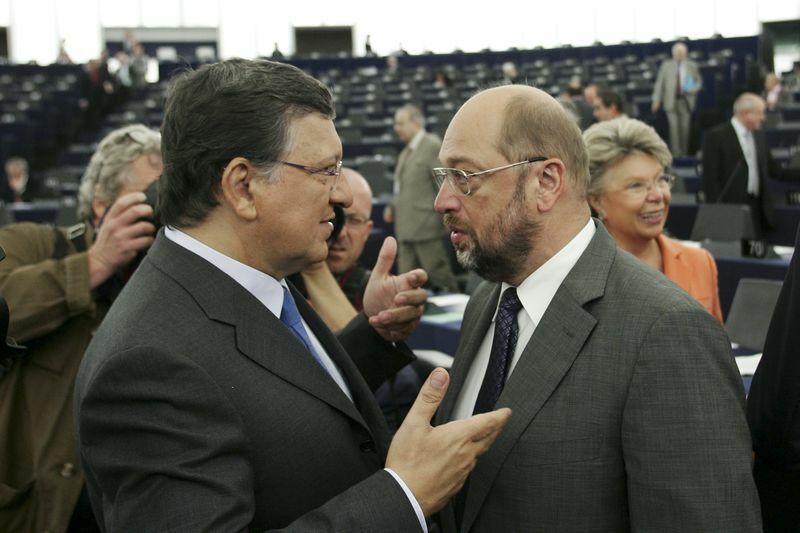 "An important means to deepen the pan-European political debate would be the presentation by European political parties of their candidate for the post of Commission President at the European Parliament elections already in 2014", which, according to Barroso, can happen without treaty changes. A deep and genuine economic and monetary union, a political union that will have common foreign and defence policy is also needed, the Portuguese continued with his visions summarised in the end like this: "Today, I call for a federation of nation states. Not a super state. A democratic federation of nation states that can tackle our common problems, through the sharing of sovereignty in a way that each country and each citizen are better equipped to control their own destiny. This is about the Union with the Member States, not against the Member States. In the age of globalisation pooled sovereignty means more power, not less". Because persistently reasons for doubts are provided. "Doubts over whether some countries are really ready to reform and regain competitiveness. 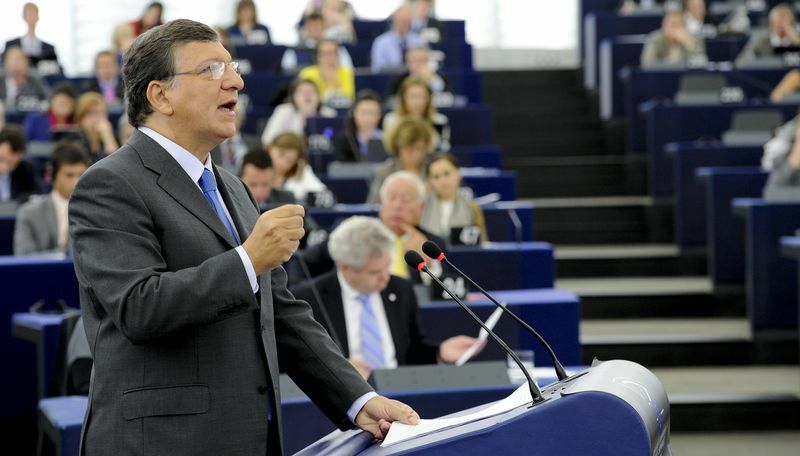 Doubts over whether other countries are really willing to stand by each other so that the Euro and the European project are irreversible", Jose Manuel Barroso explained. He again blistered the national leaders for perceiving the European summits as boxing matches, claiming time and again victories. "We cannot belong to the same Union and behave as if we don't", he underscored. The European Commission chief has managed to explain in a particularly attractive way the logic behind the need for more integration: "Yes, globalisation demands more European unity. More unity demands more integration.More integration demands more democracy, European democracy. In Europe, this means first and foremost accepting that we are all in the same boat. It means recognising the commonality of our European interests. It means embracing the interdependence of our destinies. And it means demanding a true sense of common responsibility and solidarity". An exceptional message which summarises in a simple and at the same time profound way what the crisis in Europe is all about. As we wrote a number of times on this web site, EU's biggest problem stems from the fact that in the past 10 years the Union was busy building itself, not looking aside thus missing to see an essential part of globalisation as a process and consequences. 10 years later the EU is equipped with a treaty which would have worked perfectly in the times before the Crisis, before the geopolitical shifts, before the Arab spring, before China realised its power. But now, the EU treaties do not work and the Union and its leaders, national politicians and citizens, are forced to do a patchwork. As Barroso mentioned, a lot has been done already with the creation of the six-pack for enhancing the economic governance, the European semester, the country-specific recommendations and many other things. What is lacking, however, Barroso emphasised, is a fully equipped Community economic governance together with a genuine, credible Community fiscal capacity. Moreover, he continued, new institutions are not needed. What is needed is only to work on a European level and for the European interest. Yet this autumn the Commission will present its vision in a blueprint, which Barroso underscored will be presented nowhere else but in the European Parliament, "Because these questions must be discussed with and by the representatives of the people". As during the rehearsal for the address - his speech in Friday at the EPP bureau meeting in Florence - so in Strasbourg on September 12th, Barroso worked out the idea of a European democracy. "Those who say that democracy is only national, I'm sorry, are not in the 21st century where we have everything transnational". European democracy is needed, with true European parties and true institutions which do not work against the member states but with them toward a union that goes beyond the nation state to defend the European values and interests in a global world. And speaking of values, Barroso conveyed a really strong message which contained a targeted attack on Russia: "We do not have to apologise for our democracy our social market economy and for our values. With high levels of social cohesion. Respect for human rights and human dignity. Equality between men and women and respect for our environment. These European societies, with all its problems, are among the most decent societies in human history and I think we should be proud of that. In our countries two or three girls do not go to prison because they sing and criticise the ruler of their country. In our countries people are free and are proud of that freedom and people understand what it means to have that freedom. In many of our countries, namely the most recent Member States, there is a recent memory of what was dictatorship and totalitarianism". Barroso's speech was indeed strong, timely and with a very clear horizon - the European elections in 2014 will mark the beginning of a quantum leap which the EU has to decide whether it should make for further integration. From the debates that followed this speech of Barroso, however, as well as from the first reactions of citizens it becomes clear that the societal conscience is not ready for such a quantum leap. 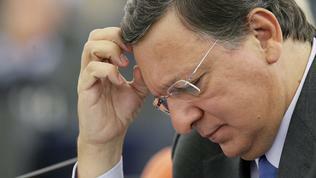 What Barroso wants is debates to begin. And they did and continued for almost 4 hours, during which many MEPs spoke about many things but a few of them stuck to the essence of President Barroso's statement, which was in fact the future. 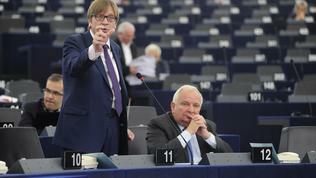 The only rival of Barroso had in terms of ardour, attractiveness and creativity was again Guy Verhofstadt, a former prime minister of Belgium and now a leader of the group of liberals in the European Parliament. He welcomed Barroso's speech, adding that the real essence of the crisis in Europe at the moment was a political crisis: "The political incapacity today to make the jump forward toward a federal union". 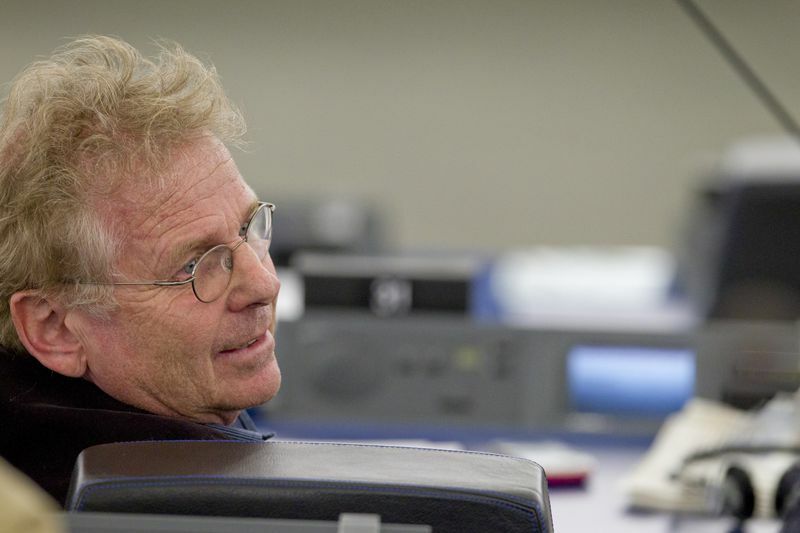 Also a strong statement made the veteran of the European Parliament, Daniel Kohn-Bendit, co-chair of the group of Greens and the European Free Alliance. He criticised Barroso for failing to mention among the many crises the crisis of environment but complemented his speech, saying that until the European budget is 1% of GDP there cannot be genuine social policy. 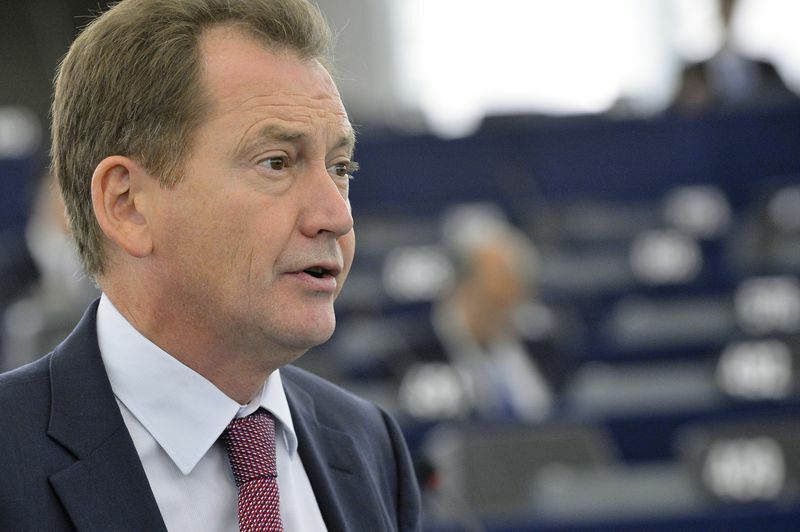 Another liberal, the Brit Graham Watson, said for his part that genuine European political parties need genuine European elections. 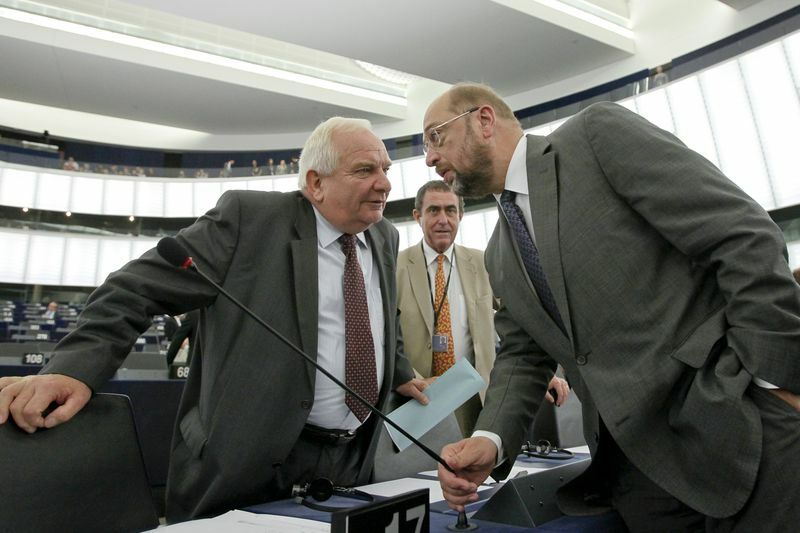 Barroso's biggest foe, who entered into argument with him last year too, the co-chair of the group of Europe for Democracy, Nigel Farage, this time as well severely attacked Barroso stating that his ideas were a "complete fanaticism". 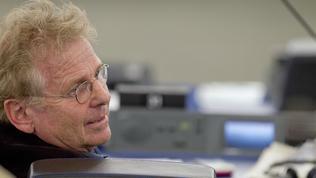 The discussions in the European Parliament got heated very much which led to making new record in requests of a blue card (remarks between MEPs). In one such occasion an MEP asked a key question which the debates in every member states on Barroso's proposal should embark on - are the member states ready to risk their future staying outside the process of deeper integration? The question was aimed at a British MEP and was related to the British policy of the handbrake in the EU but it is valid even more for all the other member states, especially after the ideas for the creation of a banking union for the eurozone were presented with the option non-euro states to take part too. 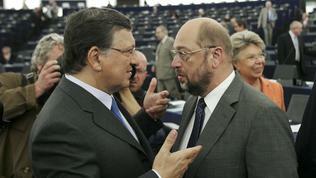 Barroso was clear when saying that no one will be forced to continue forward or be forced out. May be this is why the word that was often tossed around during the 4 hours of debates in Strasbourg was 'referendum'. From Barroso's statement, however, it did not become clear whether a referendum fits in his ideas for European democracy. 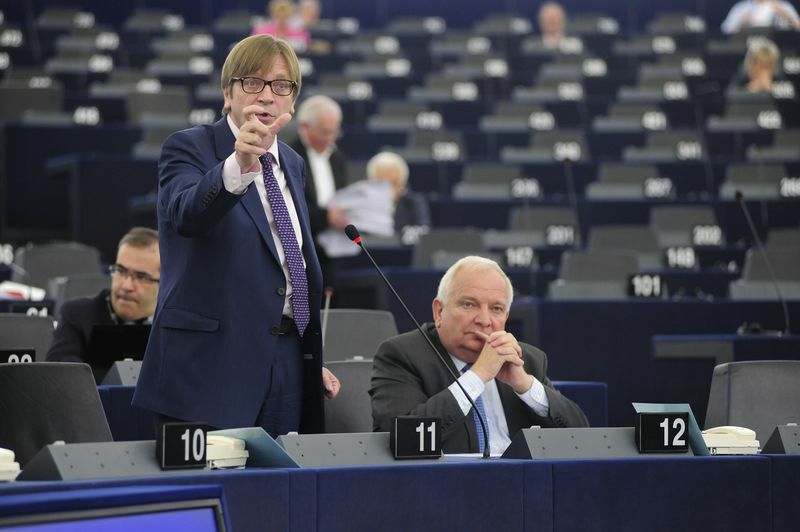 What he made clear, though, was that he wanted all the pro-European forces to unite in the name of the Union's future as early as for the elections in 2014. And he spoke as if the election campaign has already started and he intended to actively take part in it.